So I was trying out the add a signature tutorial from this site, since I did say I wanted to learn how to fancy it up a bit! Now this is my trial... looks like it's going to work. Now I went back and did the remove the shadow too..... let's see if that works on my edit. Okay... so all that fun worked and I am editing one more time because if anyone knows why my header is now all small and how I can fix it... please post a comment! Hi there Christie! I just stumbled upon your blog and can't wait to start following you!! My grade level and I just requested an iPad for our classes next year and would love to get some ideas from you (since I don't own one nor know how to use one)! 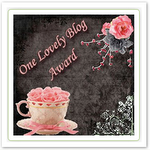 I'm also new to blogging and can learn from any tips that others have to offer since I"m learning the ropes too! Check my site out when you have the chance!